Manzoor Parwana, the chairman of the Gilgit Baltistan Movement, issued a press release on 1 August 2015, in which he expressed the need to take into consideration the interests of Gilgit Baltistan in the future projects of the Pakistan. He explicitly referred to the corridor that will link China and Pakistan and he unveiled his intention to open the region up to trade and investment. His demands include the construction of a dry port in the region and to share with Gilgit Balochistan a part of the revenues, to contribute to the development of the region. Gilgit Baltistan must be involved in China Pakistan Economic Corridor project as third party says Manzoor Parwana. Gilgit Baltistan should be involved in China Pakistan Economic Corridor project directly as third party, the people of Gilgit Baltistan must kept informed about the purpose, terms and conditions of the project. 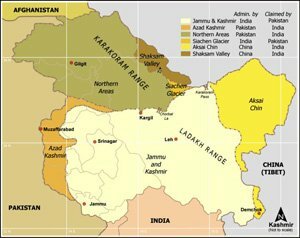 Gilgit Baltistan is a disputed region and the case is in United Nations since six decades with the Kashmir issue. The neighboring countries can’t use a disputed territory for socio and commercial interest; this is violation for international law. Before the deceleration of the political status Gilgit Baltistan how other countries do such activities here. The people of Gilgit Baltistan are being exploited socially and geographically. These thoughts were expressed by the chairman Gilgit Baltistan United Movement, Manzoor Parwana in press release issued on Aug 01. He said the economic corridor project is being built from Gilgit Baltistan, instead of that the people are not taken in confidence nor involved in the project. The land of Gilgit Baltistan is used for China Pakistan Economic Corridor project. Whereas the people of GB are mislay from the benefits of CPEC. Pakistan, China and Gilgit Baltistan should be given equal representative in the project. Manzoor Parwana anticipated to include a dry port in Chilas and Skardu in the project and to grant 40 percent of the revenue directly to Gilgit Baltistan Government. Ashkoman to Tajikistan and Kargil to Skardu roads must open immediately. He further demanded to give Gilgit Baltistan tax free zone status, open Gilgit air port for international flights and to take steps to promote tourism in the region.